HdM Gallery presents 《Towards Silence》, a solo exhibition of new work by Korean artist Lee Jin Woo. Pushing the boundaries of what painting can be, Lee has received international acclaim for his monumental and expressionistic paintings holding major exhibitions in Paris, France and China. A sensitive layering of Eastern and Western influences, Jin Woo’s work uses the traditional Korean Hanji paper as the foundation for his compositions. 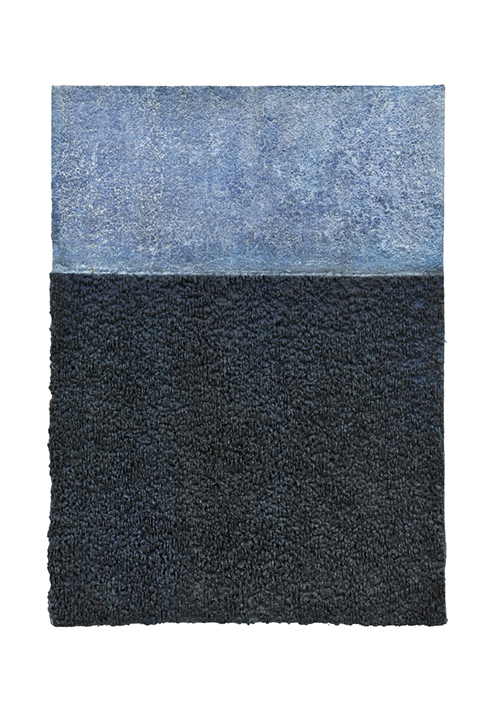 Carefully building layer upon layer of Hanji paper, he combines organic materials such as Indian ink, charcoal, earth, even volcanic ash to create dense, richly textured monochromatic paintings which resonate with an inner calm and timelessness. 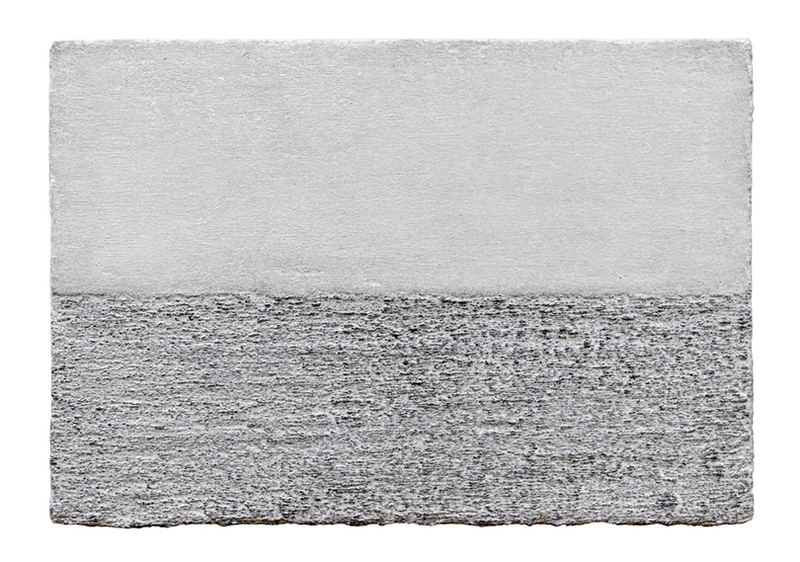 Drawing, painting, hitting or flicking pigment onto the paper Jin Woo repeats the process, building up each layer of Hanji paper until some elements are buried and others are left exposed. The result is a highly three dimensional work that engages the viewer in a rich dialogue between surface and depth. Referencing the legacy of Korean Dansaekhwa painting, his paintings share the monochromatic colour palette and emphasis on materiality and “repeatability” of the movement whilst also defining a new visual language.